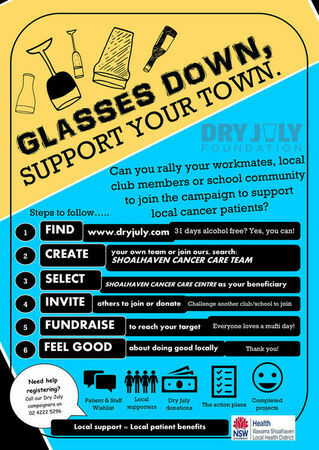 Sign up to Dry July Australia 2018 and raise funds for Shoalhaven Cancer Care Centre. The Shoalhaven Cancer Care Centre is located in Nowra, NSW and provides cancer treatment and support services to patients living on the South Coast. Dry July funding allows our service to improve patient spaces, expand patient education, update resources, implement wellbeing programs and purchase equipment or items to improve patient comfort. 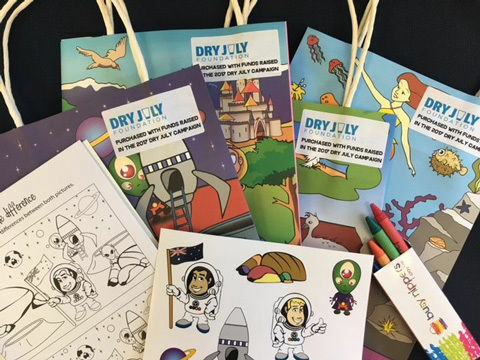 With 2018 Dry July funding we hope to continue to deliver the ‘Living Well After Treatment’ workshop, introduce drop-in monthly wellbeing workshops and cover printing costs for the Aboriginal project ‘My Patient Diary’. With this in mind, we will continue to explore suggestions from patients on what they feel would improve their experience at the Centre. We're proud to announce that Shoalhaven Cancer Care Centre has received a grant from the Dry July Foundation 2018 Grant Program. 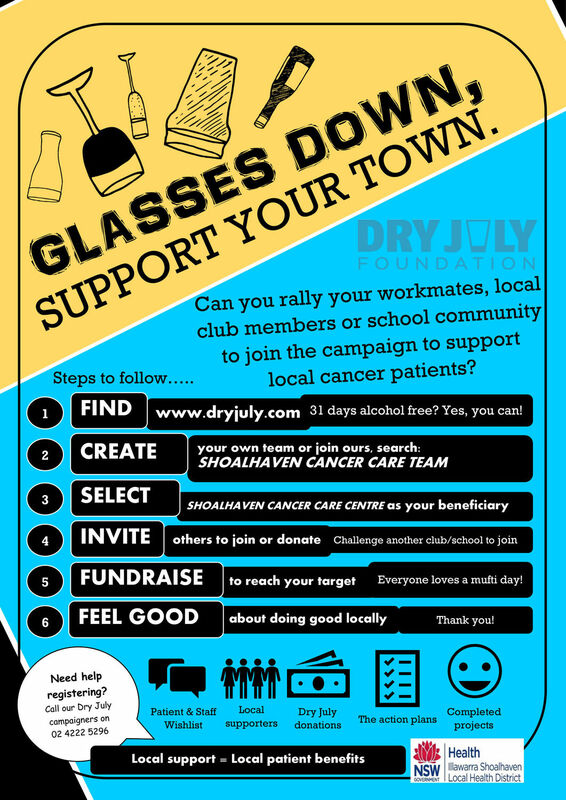 Sign up to Dry July on Wednesday 13 June at the event being held in the Foyer at Wollongong Hospital Foyer! 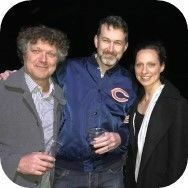 Dry July events in the Illawarra for Dry July 2017 - and meet Schoo-nah!! 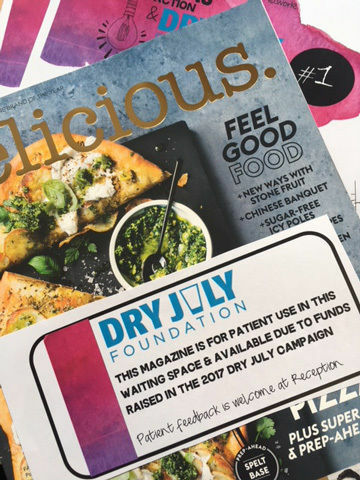 Each year we approach the campaign with a light-hearted and positive attitude to help staff, patients and their families to get on board with Dry July. Here are some photos of our events to promote the campaign in 2017. 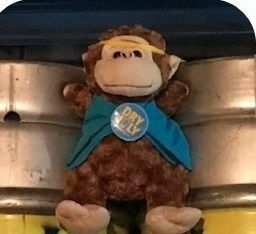 Our plans for Dry July 2017 funds. Introduction of Living Well With and After Cancer Treatment programs, which aim to assist people who have completed their cancer treatment to help enrich their quality of life and take the care of their mind, body and spirit. 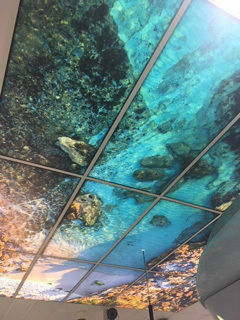 Reinvigorate our space. Our patients have told us that more pleasant waiting areas, the introduction of visual and digital arts and improved refreshment facilities would be a welcome addition to regular appointments throughout treatment. 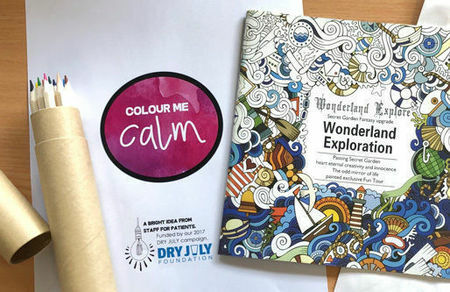 Develop the While You’re Here initiative that will provide a series of creative mediums for patients and family members to use during treatment or while waiting for treatment. This includes art and craft spaces, daily newspapers, magazines and the availability of technology to listen to music or browse the internet. There have been so many incredible ideas added to our Wish List for this year’s fundraising. We cannot wait to bring them to life!